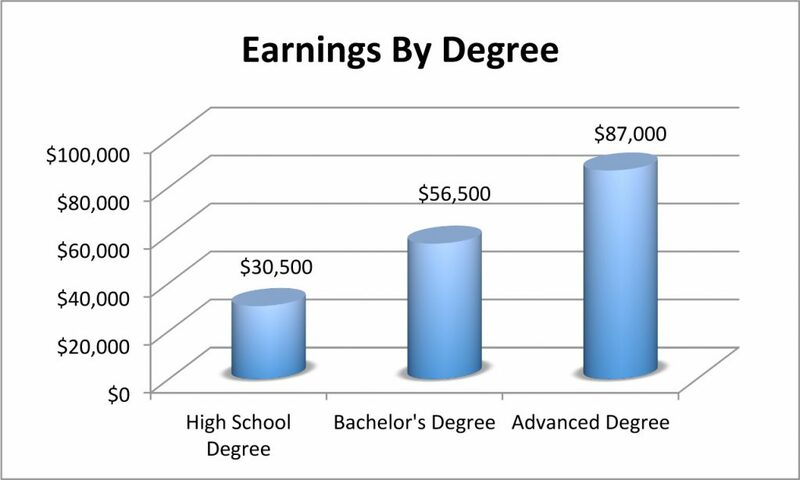 Looking at the chart above, you may come to one conclusion: that it is best to get an advanced degree. After all, the average annual earnings for those with an advanced degree is $87,000. Compared to someone with just a bachelor’s degree, the difference in annual earnings is over $30,000 per year. As was shown in a previous post, that difference is significant when you factor time into the equation. The question though, is getting the advanced degree even worth it? Let me start off by saying that I am all for getting as much of an education as you can. I personally have both a bachelor’s and a master’s degree. But before you decide to go to college or graduate school, you should know a few things first. These things include the employment prospects of what you plan on majoring in and what you can expect to earn both starting out and once you are tenured. This leads us back to the chart above. Look again at the advanced degree earnings of $87,000. You might come to the conclusion that once you get the degree, you’ll be making that amount of money. In most cases, you won’t. The number in the chart is for those aged 25 and older, so it takes into account those who just earned their advanced degrees as well as those who have been working for 10, 15, even 20 years. This skews the numbers. Case in point: As I said, I have my master’s degree and do not earn what these findings show. Granted I am only one year removed from earning my degree, so I have time to increase my pay. I didn’t get my degree and think that I would be earning close to six figures per year. I knew that it would take time to increase my earnings. When thinking about your career, you need to understand the pay scale for it. If earnings for the job are on the lower end, you need to be conscious of the debt you go into while in school. We have heard of the horror stories in the news about recent grads that have $100,000 in debt and are working at Burger King because they cannot find a job. While there are many in this situation, it is more the exception than the norm. Since the average student graduates college with $24,000 in debt, I would say that going to college is a good investment. Even when factoring in the amount of money paid to attend (on top of the student loan debt) and the lost wages while attending. Over the long run, it makes sense to continue your education after high school. But the argument depends on what degree you are going to receive and what type of job you plan on working. If you are planning on majoring in a field of study that sees the average worker earning $30,000 per year, going into large amounts of debt for the degree probably isn’t worth it. Earning an advanced degree that translates to a job in a high paying industry, however, is a good career move that should be explored. The Master of Business Administration degree, for example, can lead to jobs as a financial analyst, marketing manager, operations manager, or project manager. The average annual salaries of these positions range from roughly $60,000 to $92,000 per year, which makes earning the MBA degree a solid bet in terms of risk versus reward. Over the years, those with this advanced degree can even work their way up to become the chief financial officer of a company, which brings a six-figure salary, on average. The point is to understand how the average earnings are determined for your career with a certain degree. If it’s an average, remember: you may make more or you may make less. You have to weigh all factors beforehand so that you aren’t stuck behind the eight-ball when all is said and done. You hit the nail on the head with the Burger King comment. There is another set of data that’s been making the rounds about the disappearance of the middle class, which is underpinned by those higher paying jobs. So the average above is of the ones that do have a job – there is no provision for the growth/shrinkage of those jobs, nor of the unemployment level. Great points. I agree that your odds are better with advanced degrees than not. 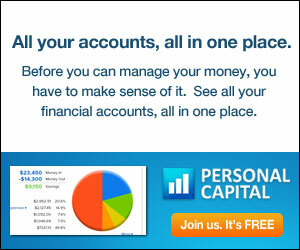 The key is, as you pointed out, to not incur more debt in the process. I definitely agree. Get as much education as you can! However, you have to keep in mind the estimated earnings of your career of choice. Do they way out in the end? It’s something you seriously have to consider. Great post! Agreed. There is no point in going into so much debt that it will take you decades to pay it off. Know before going in! Getting my MBA was definitely worth it for me. Even with the debt I incurred, it will pay off in less than a year. Completely agree! I believe college has become a sales pitch over the last decade instead of ensuring individuals receive a great education. Additionally I would recommend to any young teenager that they should highly consider their local community college for their 2 year associates degree before heading to the traditional 4 year state school. In accounting I could have opted for an MSA to qualify for my CPA license. I instead saved money by taking more undergrad credit hours at no extra cost. The MSA in accounting is just a qualified to get your CPA and everything I have heard says it doesn’t increase your earnings in my field. Food for thought! I’m not big on the MSA. You have to have an accounting degree to qualify for the program anyway (I looked into it because I’m an accountant but was a finance major, so I can’t sit for the CPA exam and was looking into other options) so I agree it makes sense for people to just take extra credits in undergrad. If I ever get my CPA, it would be through an MBA program. It only takes a few additional classes to qualify to sit and I could knock out two things (MBA & CPA) in one program. Very insightful post! I’ve heard so many horror stories like your Burger King one. It’s really sad! Many kids are encouraged to pick a major without looking at the whole picture which includes earnings. You really going to spend $100k on an art degree that the average pay is like $35k? I encourage pursuing one’s dream but it has to be done with wisdom. It’s sad that so many kids pick a career with no idea what salary they can expect. It’s almost as though as long as you have a college degree everything will be OK. Sadly, that’s not the truth. I would love to get my Master’s, but my earning potential doesn’t outweigh the investment, especially since I wouldn’t be working at the new job until around my forties. It just doesn’t make much sense financially. 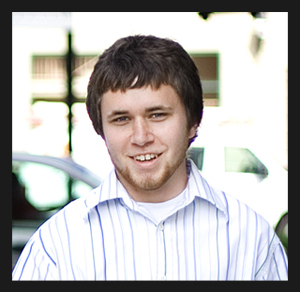 But it is a great option for those who would make more with an advanced degree. I definitely think people should calculate the “ROI” of their particular degree, based on their major and their school. Some people get a master’s because they think that’s what they’re “supposed” to do … and they don’t crunch to numbers first to see if it makes sense based on their personal goals. Very true Paula. I would also suggest talking to people in the career you want to go into. Many times it’s just a belief that you need the advanced degree. The people in the field might tell you that you would be better off getting a certification as opposed to a degree. I think every major should have a required seminar about career prospects and trends. Sure we might end up with fewer underwater basket weaving graduates – but at least students would have a better chance of being able to weigh the cost of their education against the benefit. I think this is a great idea. Freshman year, you get a sheet of paper telling you what you can expect for XYZ job. Then another sheet that shows you your student loan payment at various loan amounts. Hopefully that will open some eyes! So many people fail to understand just how much additional income they could be generating simply through expanding their education. I remember when I was an undergraduate at university, all my mates that had gone straight from school into a trade had the best cars and always wanted to go out for big nights. Back then I used to be so envious of them. I often wondered if I was making the right choice by completing a degree. In my first year out of university I was working at 40 hour week and earning as much as they were when working a 60 hour week. 10 years later and they are all still earning about the same as they were when I was 18 while I now almost 300% more than them. Getting my degree was not only good in terms of the salary it allowed me to generate, but also due to the employment opportunities that I have had, simply because I completed the degree. It doesn’t always work out though. I have a friend who was studying for a bio tech degree at the same time I was at university, and she is still earning a similar wage that she started on as a graduate employee. The reason for her wage stagnation is that she chose a profession which she was interested in, but which had poor employment prospects in our city / country. It’s all about planning ahead, there’s no point in burying yourself under mountains of debt when it’ll take years to be able to pay it all off. And that’s only if you manage to get the job you want! If there are no jobs available then that’s how you end up working at burger king, until you are able to pay off the remaining debt. If you have a reasonable idea that you plan on using the degree you are getting I think it is a great investment. However, there are people and I am sure we all know them that bounce from program to program and graduate with a general arts degree then become a real estate agent. For that person I don’t think University was the best use of their time/money(or their parents money). 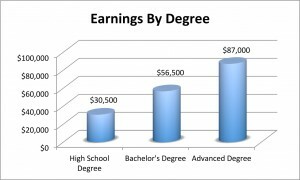 Freakenomics Podcast had a great 2 part episode looking at the benefit/cost of getting a college degree.